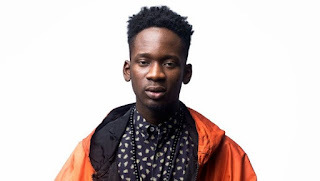 Popular singer, Oluwatosin Oluwole Ajibade, better known by his stage name, Mr Eazi, on Wednesday, November 28, announced that he has garnered over 79 million streams on his “Lagos To London” album in less than 19 days. 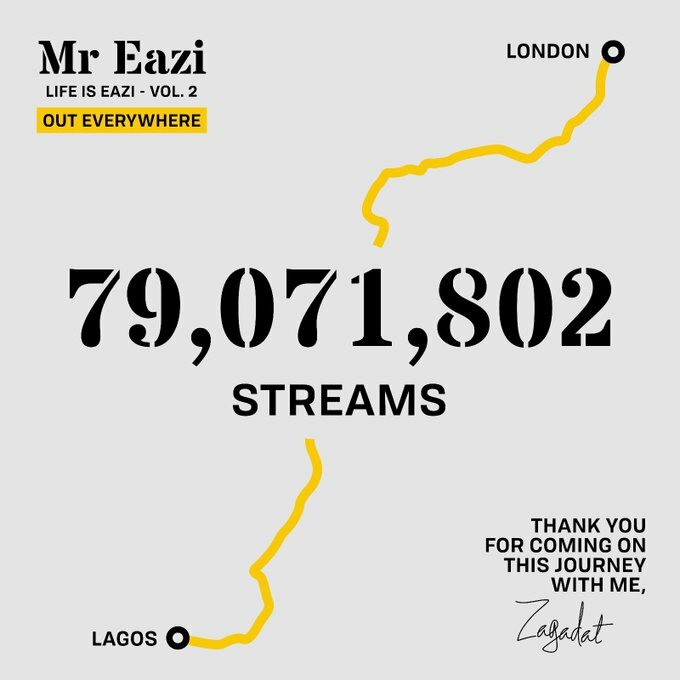 The announcement was made the same day he released the official documentary for his latest project – “Lagos to London”. In a new Twitter post, Mr Eazi shared the stream chart showing that the 15-track album has been listened to exactly 79, 071, 802 times as of Wednesday, November 28. 79+ Million STREAMS and counting. The Banku Music boss released Lagos To London in the early hours of Friday, November 9, which features collaborations with Simi, 2Baba, Lady Donli, Burna Boy, Maleek Berry and Diplo.